A marriage horoscope is a map built at the time of marriage registration. Many believe that this is the time for which registration was assigned. However, this is not quite true. The moment (birth) of marriage should be considered the phrase: "I declare you husband and wife!" or the moment of mutual exchange by rings. You can build horoscopes of "unofficial" marriage. In the case of a civil marriage, the horoscope is built on a date that the couple considers to be significant - dating date, date of first sexual contacts, date of cohabitation, date of the first meaningful joint purchase, etc. It is also necessary to take into account the fact that not all marriages are concluded "for love", often - "by calculation," and the unconscious; for mutual benefit, "because of" children (marriages "according to the flight"), because of feelings of guilt, a sense of duty, duty, because of fears "to remain alone", etc. All this can tell a horoscope of marriage. Throughout life, we encounter a lot of people, but only a few of them are in harmony with us in a spiritual and sexual sense. Compatibility horoscope by birth date will help you to reveal the character traits of a partner. It is also recommended to calculate the compatibility of the lunar signs of the zodiac. 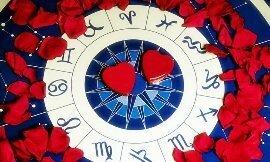 And the marriage horoscope will help you avoid many problems, with its help you will be able to skilfully bypass all the pitfalls that may meet in your path. Married couples, this horoscope will allow you to penetrate into sometimes unconscious features of your marriage, to realize and solve many problems. The connection between astrology and planets is very close. It can be argued that not only a certain planet has its own impact on man, but all the components of one component. Our actions and habits - this is the direct impact of planets, signs of the zodiac. Emotionality, character traits, karma and fateful decisions - it all depends on what planet we are born under. The location of the planets in astrological houses is almost the basis of any astrological analysis. The description of the planets in the houses of the horoscope as accurately as possible describes the event. For a complete astrological analysis, it is necessary to know the power of the planet in order to find out what power the results will give this or that planet in the astrological house. The cusp of each house has its own specific ecliptic longitude, which changes the location in the signs of the zodiac as the daily sky changes: because the houses are attached to the sides of the world and as a result of the daily rotation of the Earth the signs pass through them. The cusp of 1 house is the Ascendant. The cusp of the 10th house is called Meridian. Cusps of houses are very important points of the horoscope. Cuspid is the place of energy concentration at home.